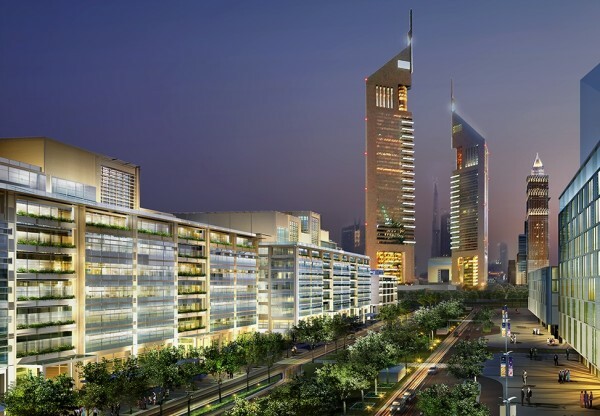 These office and retail buildings are located at the centre of the Dubai World Trade Centre District Phase 1 along the main shopping streets and form the heart of the development. 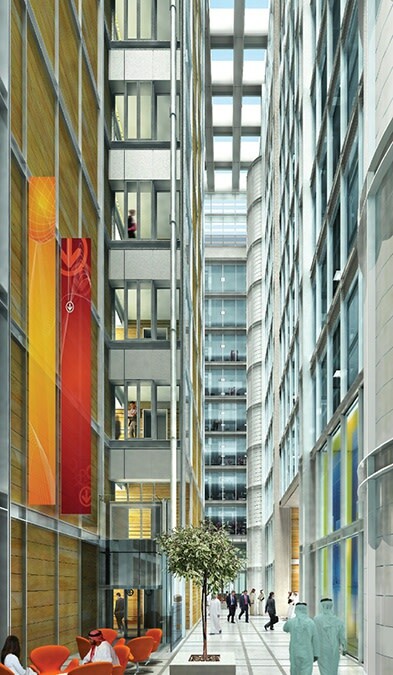 They comprise low-rise buildings that vary in height between 9 and 13 storeys. 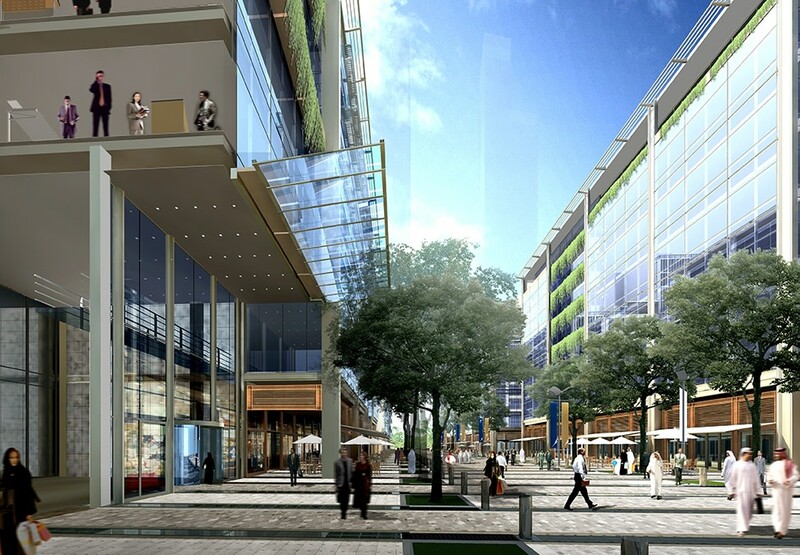 All these buildings contain light-filled internal atria and accessible green roof gardens. 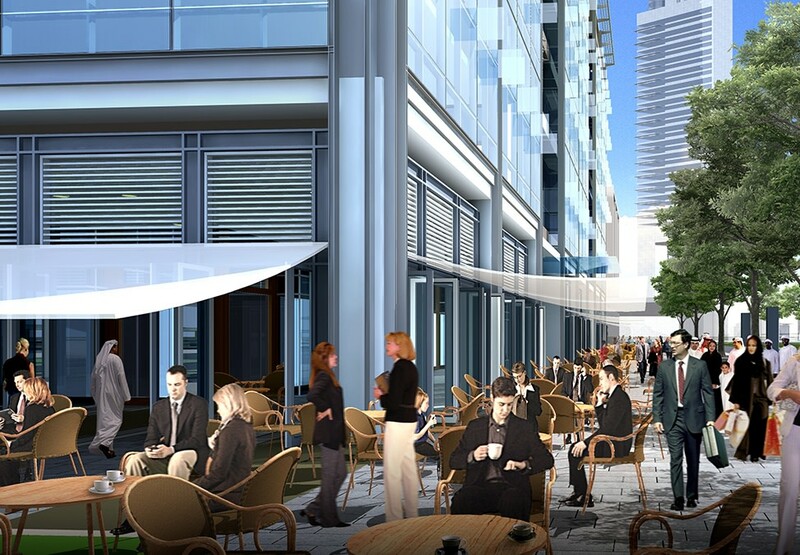 The retail units located at ground level are linked together via a network of internal and external shopping routes and shaded arcades. 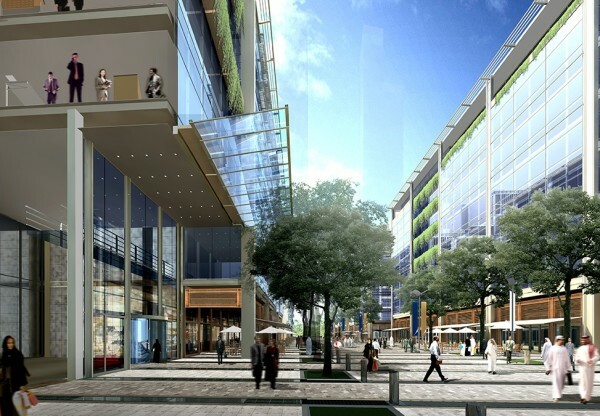 They also provide a rich variety of interesting indoor and outdoor shopping areas. The facades consist of a curtain-walling system that expresses the structure and follows a flexible office partition module. 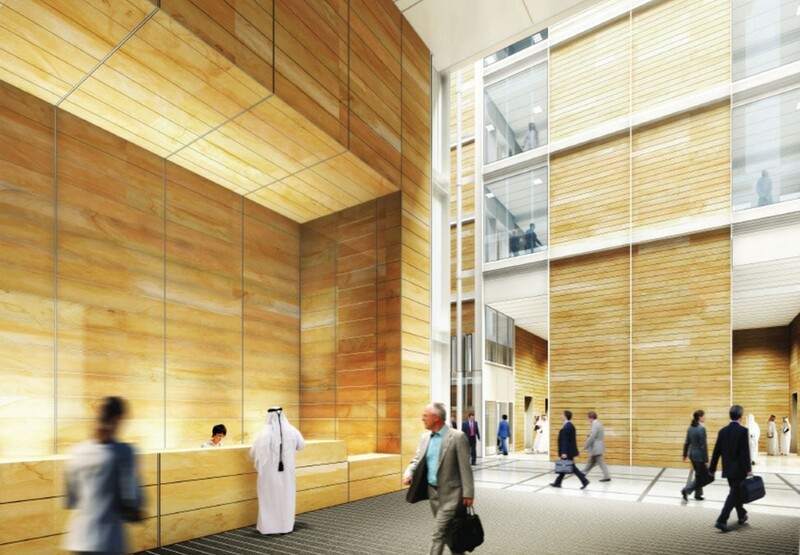 All office entrances are highlighted by a set-back facade with integrated planters.